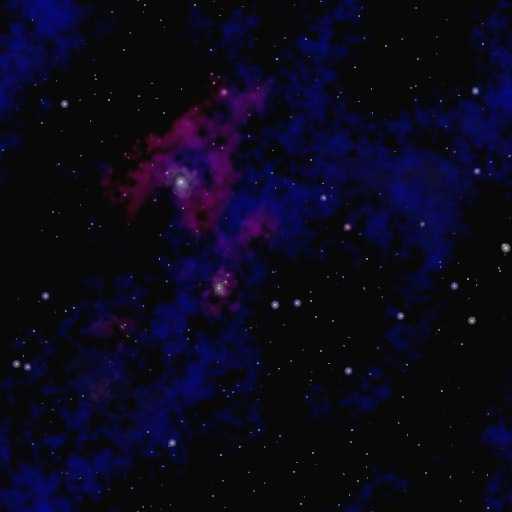 Welcome to Nicks Red Dwarf page. Here you will find pictures, sounds and more! Click the above links to read about my trip to see Red Dwarf VIII being filmed live in middlesex, about me being the King of the Show on series 2 of TMWRNJudy, and a report on Stuart Lee live at Glastonbury!!! Hi there, and welcome to my 100% completely unofficial (but still very good) Red Dwarf webpage. On this site you will find episode information, the story so far, sounds, pictures, stuff about me and more. 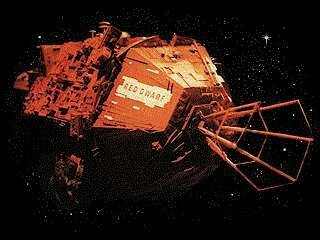 To find out more information about Red Dwarf, then read on. To have a look at the other things such as sounds and pictures etc, scroll further on down the page. The story basically goes something like this... On board the Jupiter Mining Corporation ship RED DWARF, are a crew of 3000 people. One of these people is called Dave Lister (Craig Charles) and has recently returned from planet leave at a place called Titan, (one of Saturns moons), where he obtained a cat (named Frankenstein) and smuggled it on board the ship. When he got found out by sending a photo of himself with the cat to be developed on the ships photography deck, he was told he had to either hand the cat over (to be killed) or go in to suspended animation (frozen in time) for six months. He chose to let Frankenstein live and went in to suspended animation. Meanwhile back on the ship, Second technician Arnold J.Rimmer (Chris Barrie) is hard at work at usual - making a mess of things as usual, and today something not quite so usual, failing to seal a drive plate properly, thus totally distroying the entire crew! 3,000,000 years later, the ships computer Holly (Norman Lovett / Hattie Hayridge) eventually let's Lister out of Suspended animation and brings back the previously killed Rimmer as a hologram to give lister some company. Also on board ship is a creature that has evolved from the ships cat, simply called CAT (Danny John-Jules). Not long later the three crew members rescue an Android from a crash landed ship called the Nova 5. His name is Kryten (Robert Llewellyn) and also joins the rest of the crew aboard Red Dwarf. Oh, and er...well, its kind of hard to explain, but, well er, to cut a long story short, the crew had a meeting with themselves from another dimension and with a woman named Kristine Kochanski, whom died in our dimension and whom Lister was in love with in our dimension, but she didn't die in her dimension, and was going out with Lister from her dimension - who was a hologram in her dimension, but she accidentally got trapped in our dimension and also ended up having to join the crew that we all know and love. And if you didn't understand that, then you must be stupid! Anyway, shortly after that, having lost the Red Dwarf ship and being stuck onboard the JMC transport ship Starbug, the crew discovered that the ship had actually been stolen by some tiny little robots (nanobots) who shrunk the ship down to the size of a grain of dust. Having discovered this, Kryten orders them to rebuild the ship, and the do - but they also resurect the crew at the same time... causing more bad than good! Now the five of them drift aimlessly through space, 3,000,000 years from anywhere, determined to get back home to earth and have a wash. This page is an offical page. Matt and Nicks ComedyNet © Nick Hancock and Matthew Lee. The material contained in the ComedyNet is written by Matthew and myself and is therefore copyright to us. I am unable to contain myself because larry has awarded me a bronze award of web page exellence!! Well, whoppie!! Who the cmeg is 'Larry' anyway??? ?